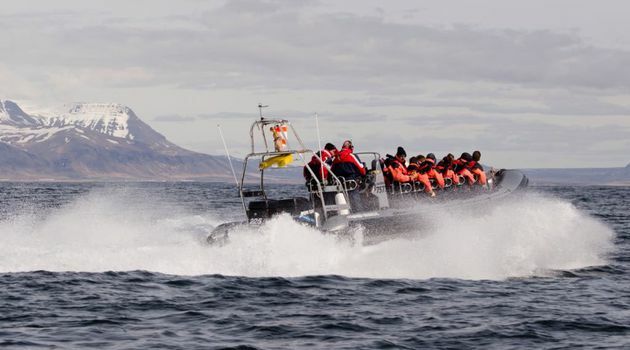 An exhilarating premium tour starting from the Old Harbour in Reykjavík everyday from 1 April to 31 October. 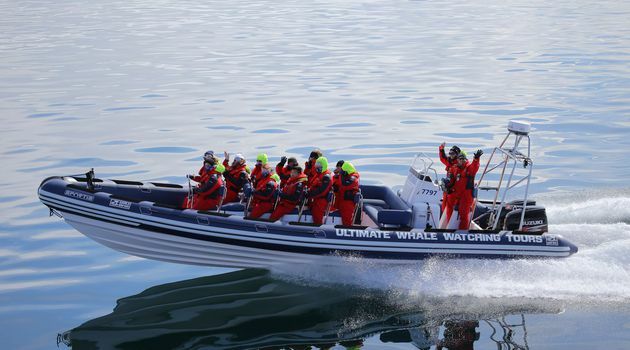 This is a small group tour with only 12 passengers per boat, specially trained crew and certified RIB captain. 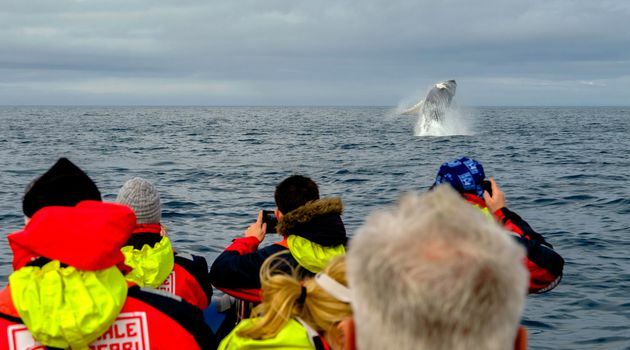 Available: 1 April - 31 October (check booking calendar for availability). 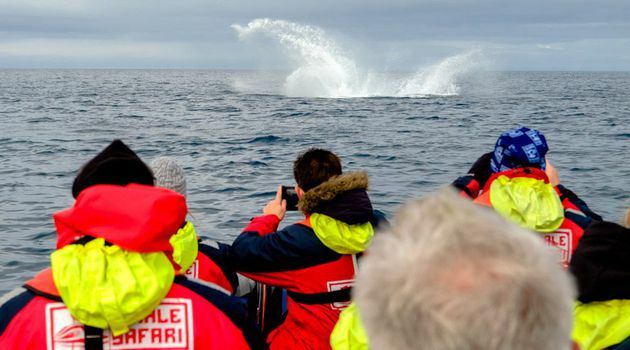 Search for the wildlife and explore seas on the adventure of a lifetime on our premium, small groups whale watching tour. 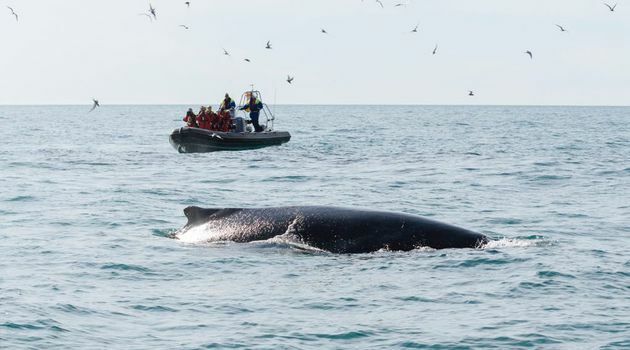 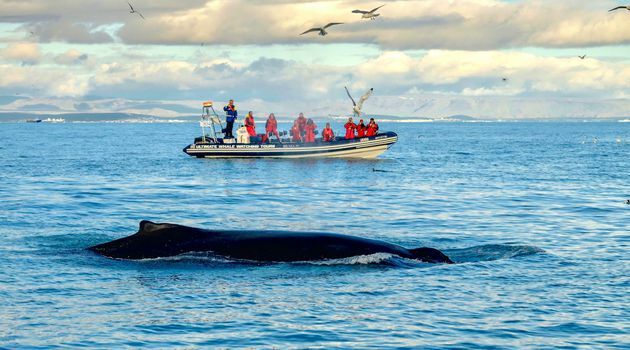 Our specially engineered RIB boats get you closer and faster to the whales and puffins than our bigger boats. 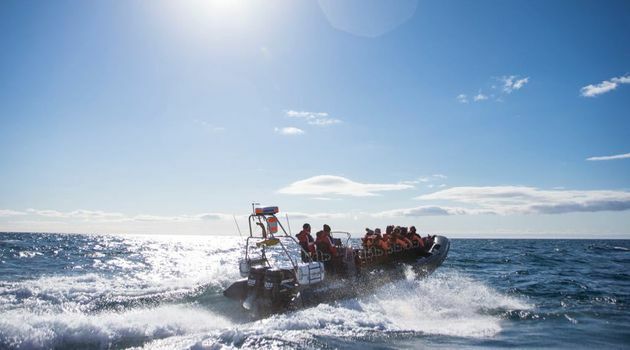 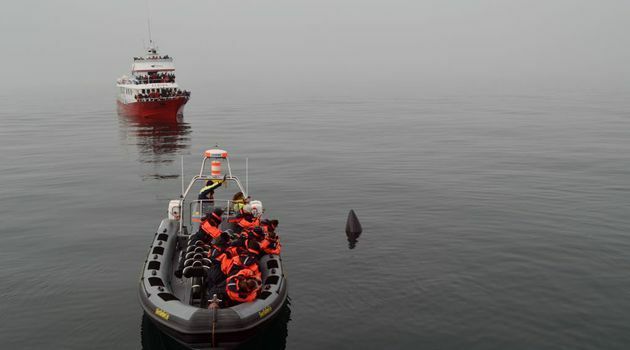 These stable and safe boats also allow us to search a bigger area, thus increasing your likelihood of viewing the whales, dolphins and birdlife. 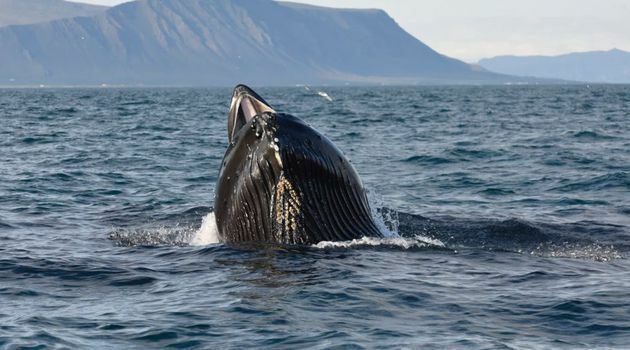 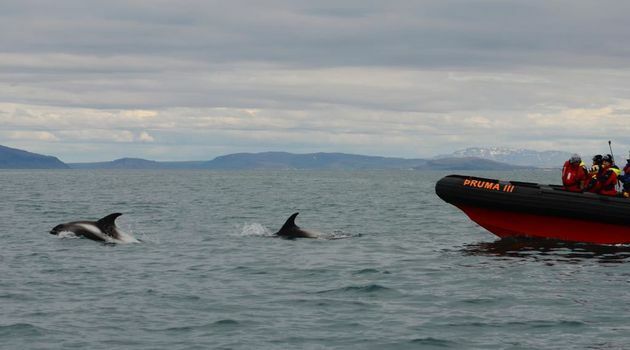 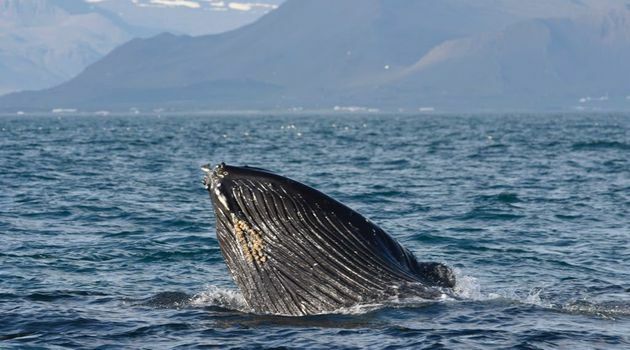 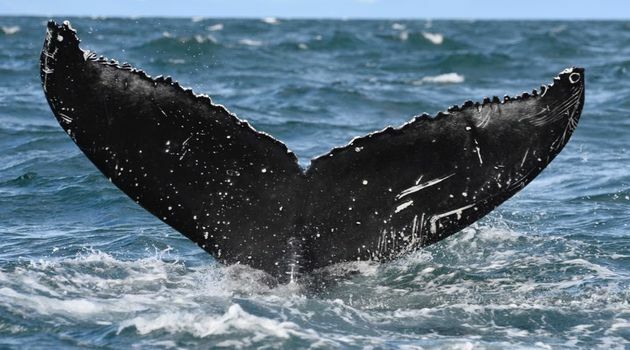 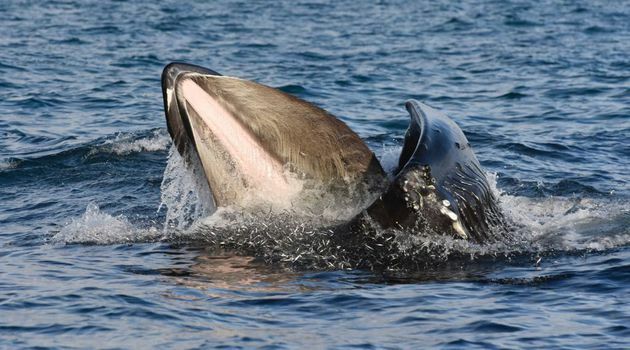 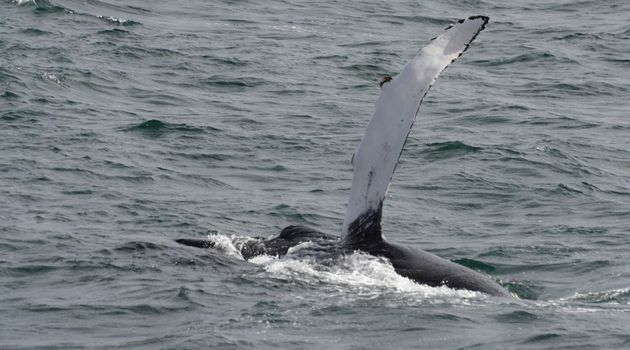 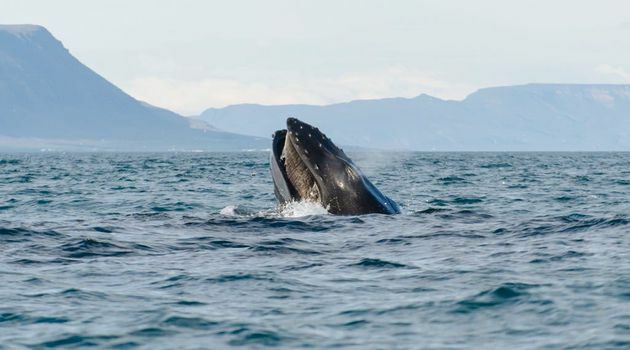 This fantastic whale watching tour starts from the Old Harbour in downtown Reykjavík. 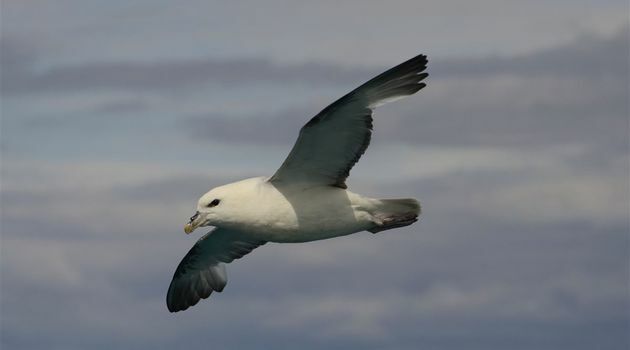 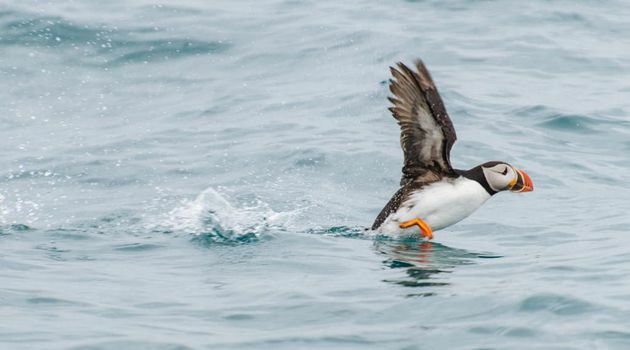 First we ride out to one of three islands close to the harbour and check out the breeding puffins (season 15 May - 15 August). 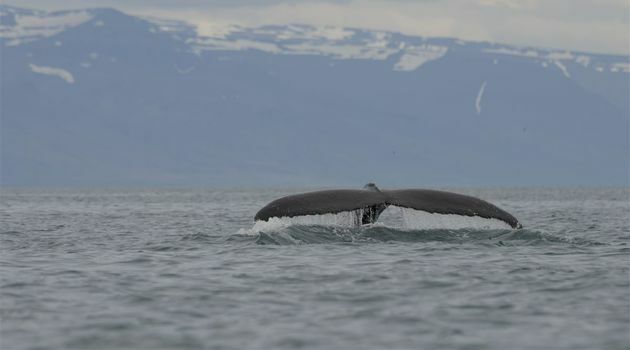 Next we head out further in search of whales and dolphins. 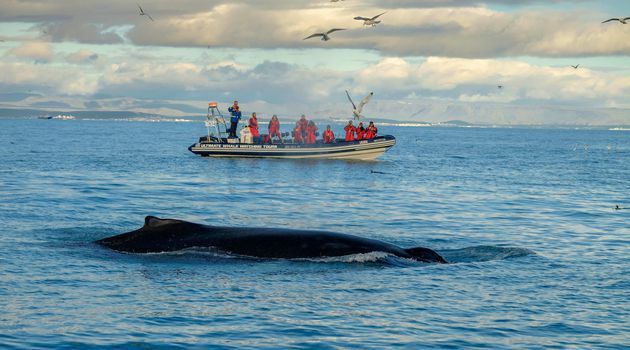 Seeing the wildlife as up close as you can from our RIB boats is a once in a lifetime adventure and experience. 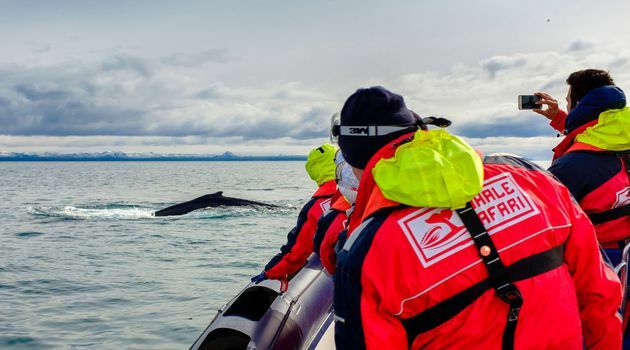 After exploring the wonders of the sea we sail back to Reykjavík, where we will ride along the city shore line. 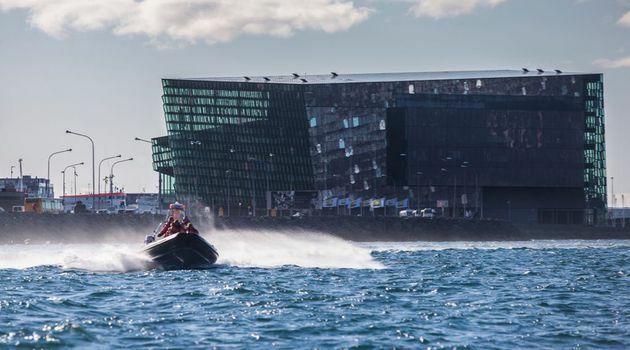 Along the coast we will have views of the city from a unique angle, Sólfarið viking ship sculpture and mesmerising Harpa Concert Hall. 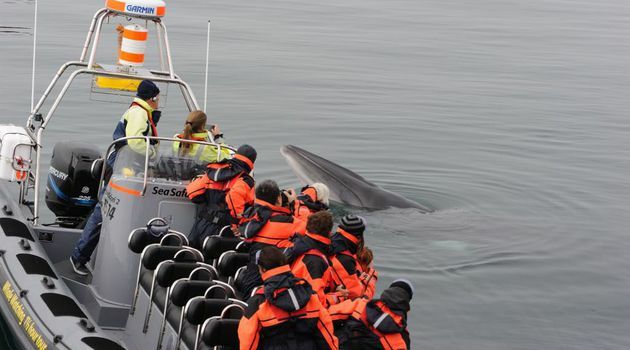 *This tour may not be suitable for seniors (over the age of 65 years), pregnant women or those with a history of heart or back problems. 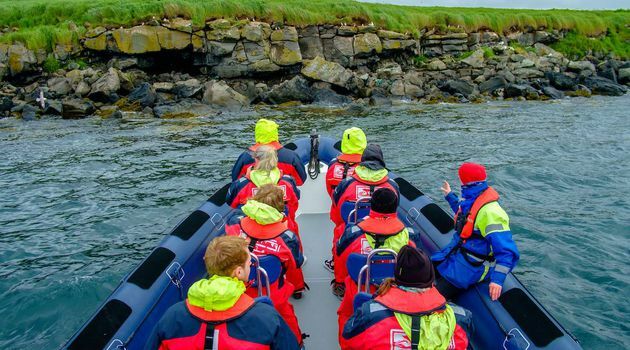 *You need to be able to stand in your seat (minimum height of 145cm) and fit into one of our overalls to participate in this tour (maximum size XXXL). 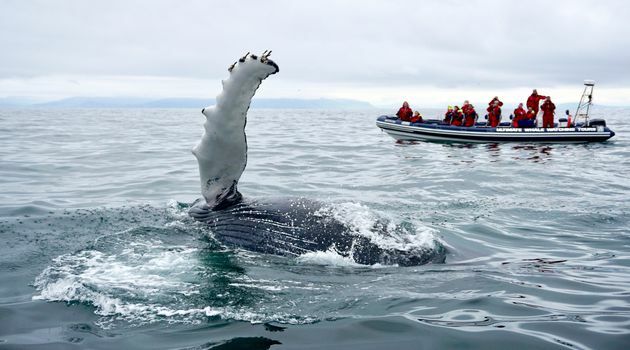 *Participants may need to sign a waiver upon arrival in order to join the tour. 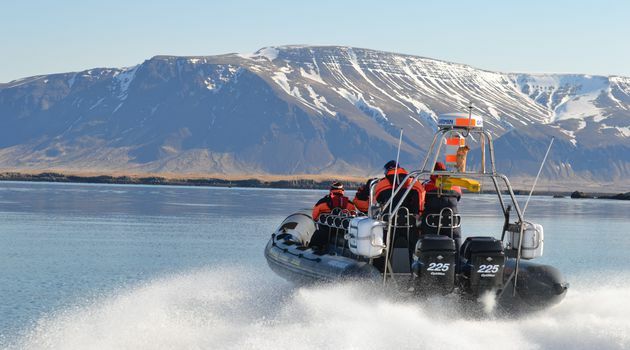 *You need to make your own way to the Old Harbour at least 30 min. 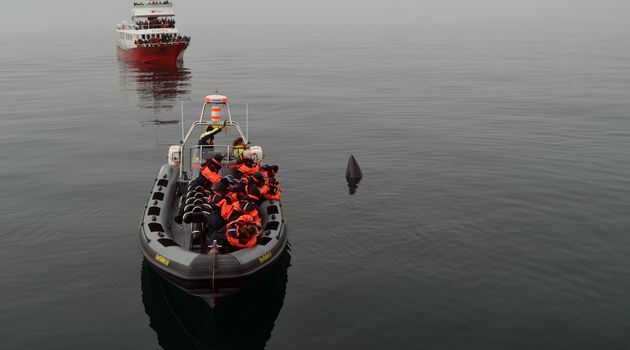 before scheduled tour departure. 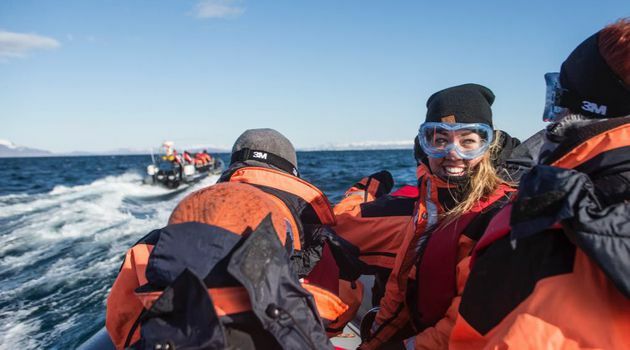 It is always colder on the water than on land so dress warmly and wear the provided warm overalls at all times. 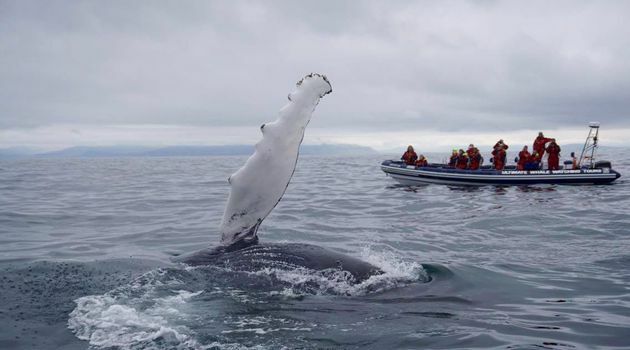 We recommend wearing good sturdy footwear. 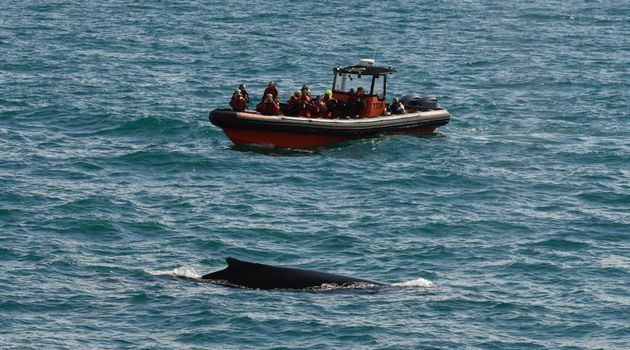 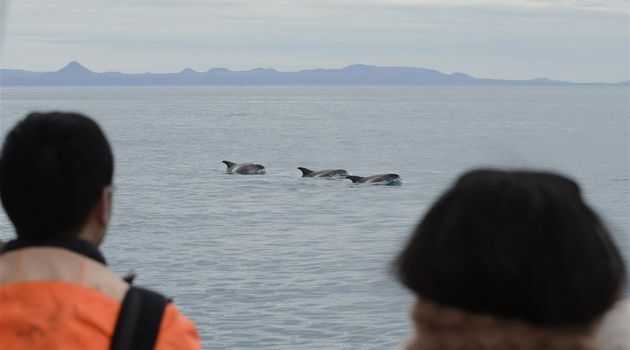 We abide by a Code of Conduct for responsible whale watching, thus each encounter is on the animals terms and distance may be kept to minimise disturbance.